Gora M. Faal is currently the Program Developer and Trainer at Islamic Online University (IOU), Intensive English Course (IEC). He is a Certified Instructor/Trainer, (certified by the U.S. Dept. of Defense) a Scholar, (Social Scientist) an Engineer, (Sound Designer) and a former military leader (US Army) that has acquired a vast range of training & instructing experiences from various professional assignments—handling classes of up to 100 personnel. Gora M. Faal is the developer of the PDMLT Program, (Professional Development, Management & Leadership Training Program) a Professional Development Program that addresses the issues of Professionalism, Management and Leadership, demystifying misnomers, and highlighting the unique relationship that ties them together. 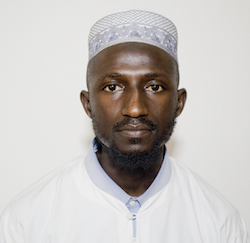 Abdoulie M. Sanyang is currently a Teaching Assistant in the Intensive English Course at the Islamic Online University. He graduated from The Gambia Muslim Senior Secondary School where he sat to the West African Senior Secondary School Certificate Examination. He served as Trainer for Trainers (TOT) as well as a volunteer of The Gambia Red Cross Society and has great knowledge in First Aid. He is also a certified TEFL. Lamin Saidyleigh is a Teaching Assistant in the Intensive English Course at the Islamic Online University. He got his Primary Teacher’s Certificate from the Gambia College. 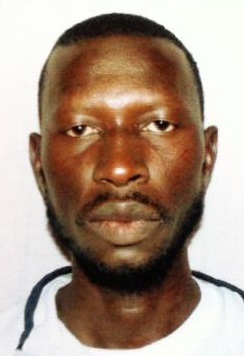 He taught in different Primary Schools in the Gambia and underwent numerous Jolly Phonics training during his ten years teaching experience in the lower grades. He also served as a head of English Department and an Internal Monitor. Valerie Denise Kenndy is a Teaching Assistant in the Intensive English Course at the Islamic Online University. Valerie Denise Kennedy has an excellent educational background, she has a certificate in Law Enforcement, Certificate in English as a Whole, she did a Teaching Course and is currently doing the i-to-i Online TEFL Course. She has vast knowledge in the art of teaching as she has 14years teaching experience. She taught in Almadina School, where she taught the 2nd, 3rd and 4th grade in the U.S.A, California, she was also the Head of Teachers in service. Valerie has a wonderful teaching character which places her among the best Teaching Assistant in the Intensive English Course. 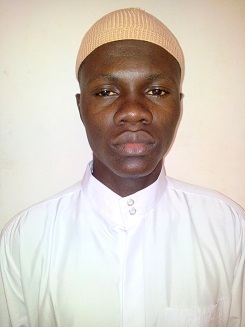 Ebrima Kanyi is presently a Teaching Assistant in the Intensive English Course at the Islamic Online University. He attended Nusrat Senior Secondary School, where he sat for the West African Senior Secondary School Certificate Examination ( WASSCE). After completing his senior secondary school education, he taught in Nusrat Senior Secondary School for one year, where he gained much experience in the field of teaching. Amie Camara is presently working at Islamic Online University as a Teaching Assistant in the Intensive English Course department. Due to her hard work and extreme dedication, she has been awarded the TEFL certificate by the Islamic Online University. She has a certificate in Information Technology, a diploma in English Proficiency and also a certificate in Financial Accounting. She did some voluntary service for The Gambia Red Cross society for almost 3 years, after which she was employed as secretary at The Kids Come First Foundation for 3 months. Mr. Ousman Mboge is currently working at The Islamic Online University, in the Intensive English Course department as a Teaching Assistant. He was a student in the Intensive English Course and due to his hard work, he managed to be among the top students in his class. He did voluntary teaching at Mahad Tallinding Islamic School and also at Imam Malick. Mr. Pa Alieu Fofana is presently working as a Teaching Assistant in the Intensive English Course at the Islamic Online University. 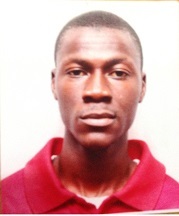 He graduated from the University of The Gambia where he got Bachelor’s in Economics. He underwent the teacher training and was successful enough to join the rest of the IEC family. 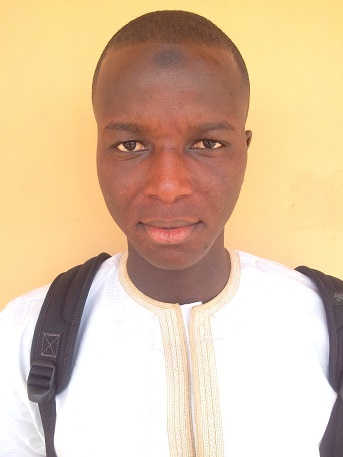 Ebrima Bayo is a Teaching Assistant in the Intensive English Course at the Islamic Online University. He graduated from John Pickering Comprehensive Senior Secondary School where he sat to the West African Senior Secondary School Certificate Examinations. He underwent the teacher training and passed. 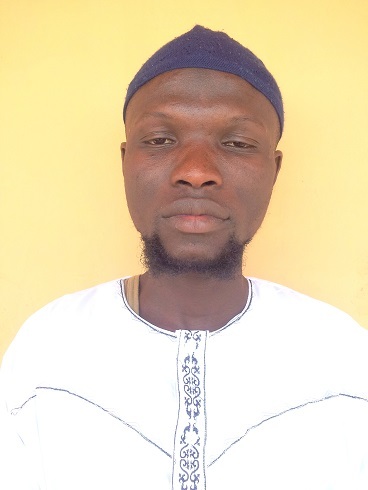 Muhammadul Kabir Mbye is one of the Teaching Assistants at the Islamic Online University in the Intensive English Course department. He has a Higher Teacher’s Certificate from the Gambia College in French and English Language as well as a Bachelor’s degree from The University of The Gambia in French and English Language. Mr. Mbye served as a French teacher at Rev. J.C Faye Memorial School from 2005 to 2008. He served as the Acting Head of the language department at 22nd July Academy from 2013 to 2014. 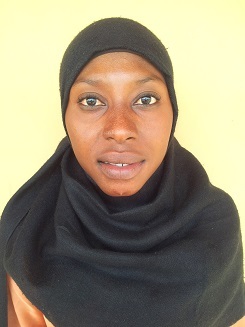 Mama Ceesay is a Teaching Assistant at the Islamic Online University in the Intensive English Course department. She has a certificate and diploma in Business Management and Administration and a Diploma in Information Technology. Fatima Abdullah is currently employed as a Teaching Assistant at the Islamic Online University in the Intensive English Course department. 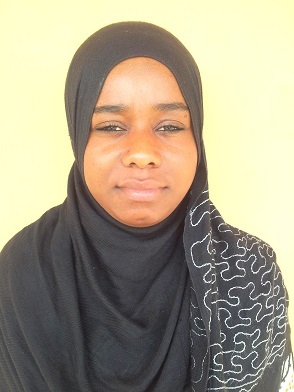 She graduated from Nusrat Senior Secondary School where she sat to the West African Senior Secondary School Certificate Examination; she successfully underwent the teaching recruitment and due to her impressive teaching skills, she is always held in high esteem by her students. 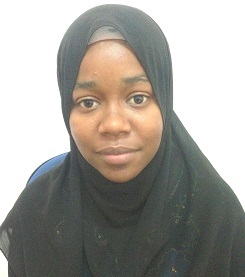 Isatou Saidykhan is recently working as a Teaching Assistant at the Islamic Online University in the Intensive English Course. 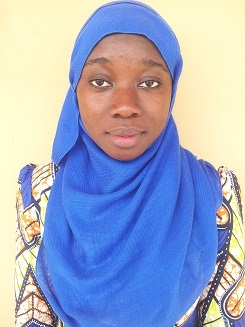 She is currently studying Management at the University of The Gambia. She taught Home Science at Tallinding Upper Basic School and is also a program presenter at Al Falah Radio. 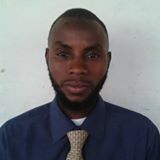 Ousman Gaku is currently working as an Admin Officer in the Intensive English Course at the Islamic Online University. He got his bachelor’s in Development Studies from the University of The Gambia. He attended the Gambia College from whence he got the Higher Teachers’ Certificate in Science and Social Studies. 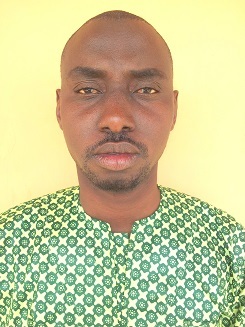 Ousman was on placement and was posted by the college as a teacher trainee to Kitty Upper Basic School where he instructed two academic subject areas to classrooms of up to 55 students. He left Kitty Upper Basic School (on excellent terms) at the end of the 2009 academic year to provide full-time teaching as a trained teacher at Pakalinding Upper Basic and was then transferred by the Ministry of Basic and Secondary Education to Kabafita Upper Basic School. He served as the head of Social and Environmental Studies Unit at Presentation of Mary Basic Cycle School while pursuing a degree course at the University of The Gambia. Mr. Gaku underwent numerous trainings ranging from Basic Scout Leadership, HIV and AIDS, French, Information Technology to Leadership Training. He earned high marks for the quality and creativity of classroom teaching, lesson plans and instructional materials used in teaching diverse subjects (e.g., science, social studies and history). He developed innovative approaches that were repeatedly held up as the model standard for meeting educational goals in areas including technology integration across the curriculum, experiential learning, literacy and diversity, taught general education students as well as individuals with learning challenges and special needs within a mainstreamed, inclusive classroom. He is consistently commended for ability to redirect students exhibiting behavioural problems by replacing disruptive, unproductive patterns with positive behaviors, as a result,he earned the best teacher award twice. Gaku actively served on a variety of school committees and task forces focused on sport development, press club coordination, social and fundraising. He also established positive relationships with students, parents, fellow teachers and school administrators/staff and quickly became a “first-to-call” resource in current substitute teaching role, typically working five days per week and personally requested by many teachers to take over their classrooms during absences. Mr. Gaku served as the Secretary General and President of the Federation of Gambia Muslim Students’ Organisation (FEGAMSO) from 2009 to 2015 and is currently the Secretary General of the Assembly of Gambia Muslim Youths (AGAMY). He also served as Secretary to Pakalinding Youth Cultural Drama Association,Operation No Back-way To Europe, Lower River Region Chapter, and was a students’ Imam at the Gambia College during his course of study. He is also a presenter of the Students’ Hour and Education Forum at Al Falah Radio. Gibbi Baldeh is currently a Teacher Assistant at Islamic Online University in the Intensive English Course department. He is an In-Service Teacher certified by the Ministry of Basic and Secondary Education and The Gambia College (IEC) program and a former classroom teacher at Sinchu Gundo Lower Basic School. During two years of classroom teacher service, (active duty) he had the opportunity to be part of the new teacher trainers for the Intensive English Course (IEC) and trains teachers on how to prepare test questions for the students as well as on how to apply proofreading symbols when marking test or exam papers. Furthermore, due to his performance and punctuality, he was declared the TA of the academic year 2013-2014 by IOU Administrative and students and was ranked third best by the Ministry of Basic and Secondary Education (MoBSE) and The Gambia College for the academic year 2015. Penda Jawoh is currently a Teaching Assistant at the Islamic Online University in the Intensive English Course department. She has a certificate in Information Technology and Business Information System. Edrisa Badjie is currently serving as a Teaching Assistant in the Intensive English Course at the Islamic Online University. He has a certificate, diploma and an advanced diploma in Information Technology and recently underwent CISCO Networking. 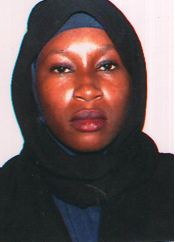 Mariama Abdullah was recently employed as a Teaching Assistant at the Islamic Online University in the Intensive English Course department. She is a secondary school graduate with great knowledge of the English Language who, because of her zeal for education, underwent the teaching recruitment. Her growth as a teaching assistant is quite impressive. Mr. Lamin Fatty is a Teaching Assistant in the Intensive English Course with huge teaching experience. He got GCE O’ Level and an advanced diploma in Economics and Accounting. Mr. Fatty taught for more than ten years in different senior secondary schools. He served as an office assistant and accountant for one year and is currently serving as the Head of Site at John Pickering Comprehensive Senior Secondary School. He is also an Exam Supervisor at Gambia Technical Training Institute. Babucarr Jatta is also a Quranic Teacher and gets to teach Muslim children their religion. 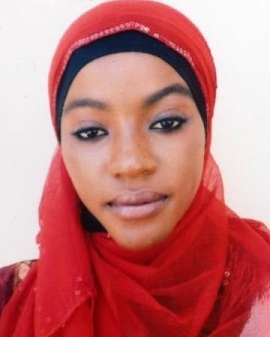 Isatou B Secka is currently working as a Teaching Assistant at the Islamic Online University in the Intensive English Course department. She studied at the University of The Gambia, where she earned her bachelor’s degree in Development Studies. As a citizen who is determined to help the generation through education, she has worked in two different schools as an English and Business Management teacher for the past 4 years, before joining the IOU family. Haddy Jobe currently works at IOU as a teaching assistant, before joining the teaching force and the Islamic Online University family, she learnt basic first aid, was a member of the Gambia red cross association, worked as a clerk at a pharmacy, did an internship at a dental clinic and studied Gambian sign language at the Gambian association of the deaf and hard of hearing (GADHOH).